By Jason Davis – WASHINGTON, DC (Apr 3, 2019) US Soccer Players - Before the 2019 Major League Soccer season began, a list that started with Atlanta United, New York Red Bulls, NYCFC, and Portland Timbers could have been an easy preseason power ranking of the top four teams in the league. Atlanta United entered the campaign as the defending league champion. The Red Bulls won the Supporters' Shield last season, navigating a midseason coaching change well enough to convince everyone that another strong season was in the cards. Whatever issues NYCFC had in 2018 switching from Patrick Vieira to Dome Torrent, the talent in the roster and the ambition of the club carried it through the winter with high expectations. There was no reason to think NYCFC wouldn’t challenge for titles in 2019. Portland won the Western Conference in 2018 and reached a second MLS Cup final in just eight years in the league. The conference championship masked the club’s less-than-stellar 5th-place finish in the regular season. Still, most observers were happy to give the Timbers the benefit of the doubt. After all, head coach Giovanni Savarese did achieve a runner-up season in his first year on the job. A month into the 2019 season, that list is not looking like the top of anyone’s power rankings. It might not even merit a spot in the middle of the rankings, depending on how much one month really tells us about MLS teams. Here's a rundown of the season so far for four teams tipped to be contenders this season. The defending champion Atlanta United have yet to win a game and sit at the bottom of the Eastern Conference standings. The Supporters' Shield holders New York Red Bulls are in 8th-place on four points and have dropped two straight games to teams that failed to reach the playoffs last season. NYCFC has three points, all earned from draws through the first three games of the season with two of them coming at home. Their latest setback was a 4-0 thrashing in Toronto on Friday night. Portland has the easy excuse of a lengthy road swing to start the season. While they wait on their stadium redevelopment to finish, they've put together the league's second-worst defensive record, with 12 goals conceded in four games. These early struggled for presumed top teams naturally prompts a very MLS question: Which of them are most equipped to execute dramatic turnarounds? The history of MLS tells us that one or more of these clubs will still be in the mix for a championship when playoff time arrives. There’s even a better-than-good chance that one of them will be at the top of their respective conferences when the regular season ends. We don’t need to look any farther back than 2018 for an example of the phenomenon. The Seattle Sounders had just eight points at the end of May, then put together a historic second-half of the season to finish second in the Western Conference behind Sporting Kansas City. All four teams have reason to hope thing will turn around, even beyond the “it’s MLS” reality. Atlanta United remains one of the most talented teams, top-to-bottom, in the league. The sale of Miguel Almiron left a significant hole in the lineup. That said, there’s no reason to think that the quality of the roster won’t come to bear on Atlanta’s results eventually. With Frank de Boer’s shift to a more possession-focused style of play, United has struggled to create the same number of chances they did in 2018. There’s no guarantee that de Boer’s system will take or that the club will wait forever for the results to come. Still, “panic” shouldn’t be in the club’s vocabulary at the moment. Josef Martinez will eventually score goals. Pity Martinez will eventually create them. Ezequiel Barco, Julian Gressel, and Hector Villalba will stay around the league’s top half of starting players at their positions. Atlanta has veteran leadership, experience, and a crowd that wills them to wins at home. Some sort of turnaround is coming. It’s just a matter of when. The Red Bulls have something going for them that Atlanta United does not. It's their well-defined, well-honed system that they trust to a fault. The problem so far is that the system isn’t working as designed. That might be down to tweaking or because the Red Bulls are suffering from a 2018 hangover. That's something worth considering as part of the problem for most of the teams on this list). After a 1-0 loss in Chicago on Saturday, Red Bulls coach Chris Armas spoke about his team’s need to improve when in possession of the ball. It was an odd thing for him to say considering that his club’s style lines up with the pressing game utilized by all of the Red Bull-affiliated clubs. That universal approach is why Tyler Adams’s move to the Bundesliga has been so seamless and sits at the heat of the Red Bull model. Adam’s departure might be the biggest reason for New York’s slow start. It’s nearly impossible to replace the mobility and ball-winning of a player like Adams. Doing so will require more effort, and more ground covered, by everyone else on the field. Adams wasn’t the only reason New York’s system worked. However, removing him from the equation hasn’t yet prompted a necessary response from elsewhere in the team. The Red Bulls turnaround is, therefore, dependant on Marc Rzatkowski and Sean Davis combining to make up for the loss of Adams. That's in addition to Bradley Wright-Phillips continued production up top. The smart money is on the midfield pair figuring it out and Wright-Phillips getting back on the score sheet. Right now, however, it doesn’t look like those things will happen quickly enough to have the Red Bulls chasing another 1st-place finish. Across the river in New York City, NYCFC is still finalizing its first half roster while also working out the best tactics on the fly. Dome Torrent’s tinkering with the team Patrick Vieira left behind didn’t convince anyone in 2018. Those struggles have followed him into the new year. Newly signed striker Heber is officially on the roster and available for Saturday’s game against Montreal. There’s no real way to project the Brazilian’s impact, but having a clear choice up top should make NYCFC more effective. Heber’s arrival might justify pushing Alexander Ring back into his usual defensive midfield spot, shoring up an area of the field that has been troublesome for NYCFC. Will NYCFC make the flip and regain their place among the Eastern Conference elite? At the moment it’s difficult to see a full turnaround. The club will likely continue to struggle as it integrates its new signing and figures out how best to play. That brings us to the Timbers and their disastrous defensive performance so far this season. The MLS Cup final appearance proved what the team and Savarese are capable of, but the long postseason run has consequences. 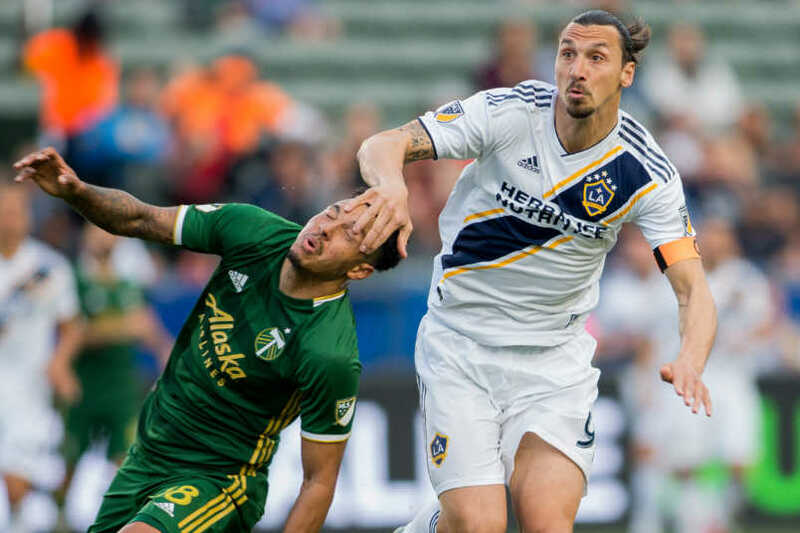 Combined with the 12-game road trip the Timbers to take to open the season while Providence Park received upgrades and the rough start shouldn’t be a surprise. Sitting 11th after the first month on a single point is obviously not ideal. The turnaround will come because of their schedule. Next up for Portland is a trip away to the worst team in the league, San Jose. If Savarese’s side can get a win in Northern California, it will give them some hope of salvaging the road trip and getting the home schedule started on a positive note. A dramatic move up the table will have to wait, but don’t count the defending Western Conference champs out just yet.